Being overweight carries with it a greater risk of developing type 2 diabetes. If you already have diabetes, losing weight and trying to keep your weight as near to normal as possible can help you manage the disease more effectively. Losing weight may also help you to exercise more regularly and stay mobile which will also help you manage your diabetes. If you are trying to lose weight, the BMI can be a handy tool for helping you attain your weight loss goal. Use the chart below, to see where your weight falls now, whether in the normal, overweight or obese range. Then check the range of weights in the "normal weight" range. This is what you want to shoot for, to keep yourself on the right track. Sometimes with weight loss and exercise, diabetes medications can be reduced, or even eliminated, as your body becomes less insulin resistant. ** That said, try not to go to extremes to lose weight as that may affect your insulting levels. Work with your doctor to ensure your workout plans, diet, and overall health are in line for you to try any weight loss program. Remember overall health is the goal. Starving yourself, or overtraining could hurt your efforts if not done so reasonably and scaled out over time. To calculate your BMI, use the chart below. Look for your height on the left-hand side and your current weight, going across. 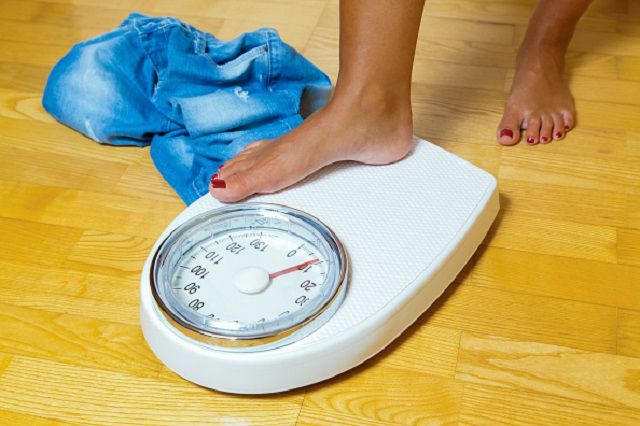 The number on the top of the chart that correlates to your weight is your BMI. If your number falls between 25 and 30, you are overweight. If the number is over 30, you are obese. If the number is over 40 then you are considered morbidly obese. Some of the numbers may be rounded together due to space constraints. Find the number that most closely fits your height and weight. *The BMI may overestimate body fat in those with muscular builds and underestimate body fat in older people, so it is not always an accurate way to assess for risk of diseases like diabetes, metabolic syndrome, and heart disease. Also, some people with a normal BMI may still be at risk for these conditions if other risk factors are present. **Never stop taking your medications without consulting your healthcare provider first.